A task queue’s input is a unit of work called a task. Dedicated worker processes constantly monitor task queues for new work to perform. Celery is written in Python, but the protocol can be implemented in any language. In addition to Python there’s node-celery and node-celery-ts for Node.js, and a PHP client. Language interoperability can also be achieved exposing an HTTP endpoint and having a task that requests it (webhooks). This is the last version to support Python 2.7, and from the next version (Celery 5.x) Python 3.5 or newer is required. Python 2.6: Celery series 3.1 or earlier. 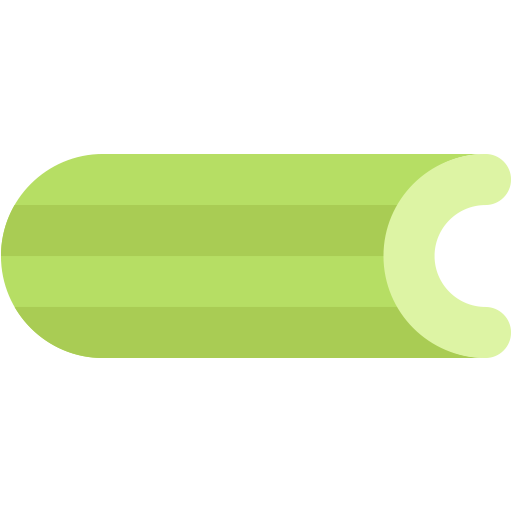 Python 2.5: Celery series 3.0 or earlier. Python 2.4 was Celery series 2.2 or earlier. Celery is a project with minimal funding, so we don’t support Microsoft Windows. Please don’t open any issues related to that platform. Celery requires a message transport to send and receive messages. The RabbitMQ and Redis broker transports are feature complete, but there’s also support for a myriad of other experimental solutions, including using SQLite for local development. Celery can run on a single machine, on multiple machines, or even across data centers. Celery is easy to use and maintain, and it doesn’t need configuration files. It has an active, friendly community you can talk to for support, including a mailing-list and an IRC channel. Workers and clients will automatically retry in the event of connection loss or failure, and some brokers support HA in way of Primary/Primary or Primary/Replica replication. A single Celery process can process millions of tasks a minute, with sub-millisecond round-trip latency (using RabbitMQ, librabbitmq, and optimized settings). Almost every part of Celery can be extended or used on its own, Custom pool implementations, serializers, compression schemes, logging, schedulers, consumers, producers, broker transports, and much more. A stream of monitoring events is emitted by workers and is used by built-in and external tools to tell you what your cluster is doing – in real-time. Simple and complex work-flows can be composed using a set of powerful primitives we call the “canvas”, including grouping, chaining, chunking, and more. You can control how many tasks can be executed per second/minute/hour, or how long a task can be allowed to run, and this can be set as a default, for a specific worker or individually for each task type. You can specify the time to run a task in seconds or a datetime, or you can use periodic tasks for recurring events based on a simple interval, or Crontab expressions supporting minute, hour, day of week, day of month, and month of year. The --max-tasks-per-child option is used for user tasks leaking resources, like memory or file descriptors, that are simply out of your control. Each worker component can be customized, and additional components can be defined by the user. The worker is built up using “bootsteps” — a dependency graph enabling fine grained control of the worker’s internals. For Django see First steps with Django. The integration packages aren’t strictly necessary, but they can make development easier, and sometimes they add important hooks like closing database connections at fork(2). Celery also defines a group of bundles that can be used to install Celery and the dependencies for a given feature. You can specify these in your requirements or on the pip command-line by using brackets. Multiple bundles can be specified by separating them by commas. for using the auth security serializer. for using the msgpack serializer. for using the yaml serializer. for using the eventlet pool. for using the gevent pool. for using the librabbitmq C library. for using Redis as a message transport or as a result backend. for using Amazon SQS as a message transport (experimental). for using the task_remote_tracebacks feature. for using Memcached as a result backend (pure-Python implementation). for using Apache Cassandra as a result backend with DataStax driver. for using Couchbase as a result backend. for using ArangoDB as a result backend. for using Elasticsearch as a result backend. for using Riak as a result backend. for using AWS DynamoDB as a result backend. for using Zookeeper as a message transport. for using SQLAlchemy as a result backend (supported). for using the Pyro4 message transport (experimental). for using the SoftLayer Message Queue transport (experimental). for using the Consul.io Key/Value store as a message transport or result backend (experimental). specifies the lowest version possible for Django support. You should probably not use this in your requirements, it’s here for informational purposes only. The last command must be executed as a privileged user if you aren’t currently using a virtualenv. The Celery development version also requires the development versions of kombu, amqp, billiard, and vine. Please see the Contributing section.